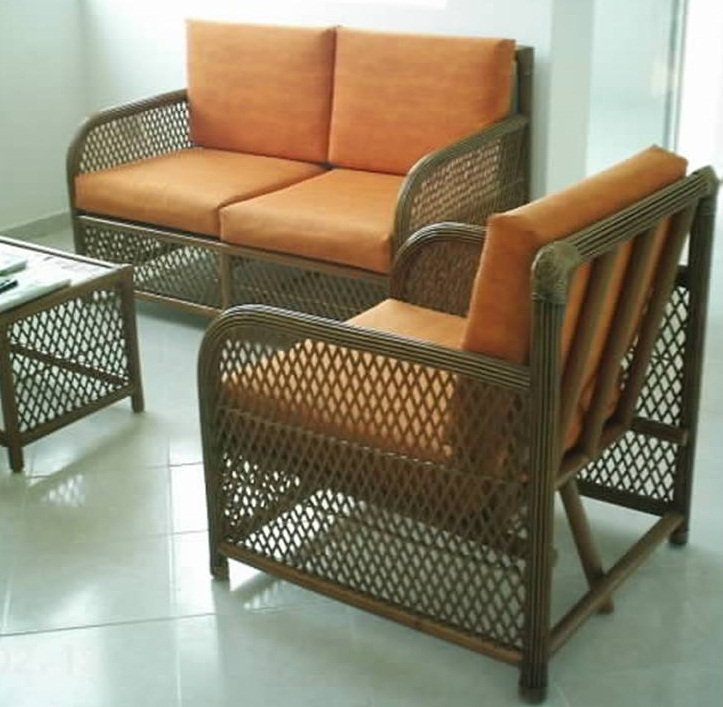 Rattan love seat, chair or sofa. Price is sofa. Pictured are love seat and chair. Rattan love seat or sofa. Simple lines and rustic styling adds a bit of Retro to your Mexico decor. Ideal for smaller spaces. Price is sofa. Love seat shown. You have your choice of sofa, or love seat with chair. Includes cushions in basic fade-and-spill-resistant Sunbrella fabric. 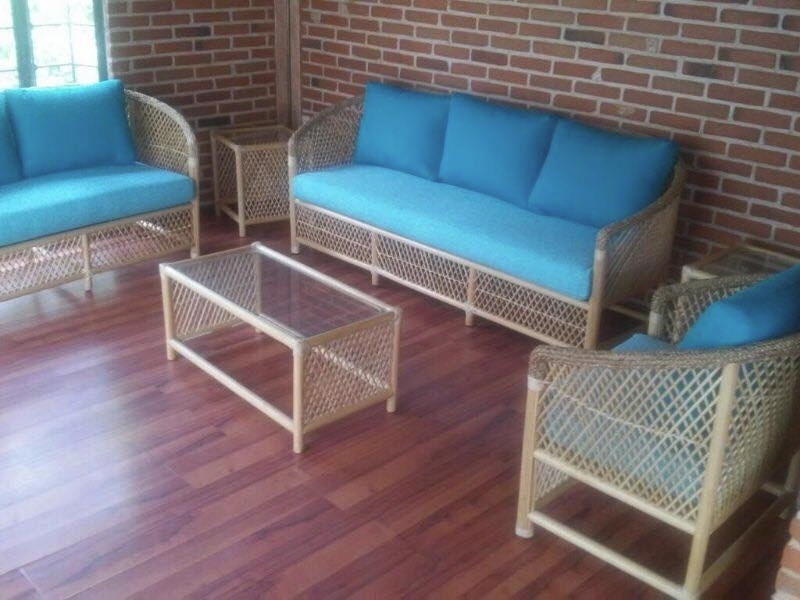 Rattan available in Light, Medium or Dark stain. Coffee table can be ordered separately.